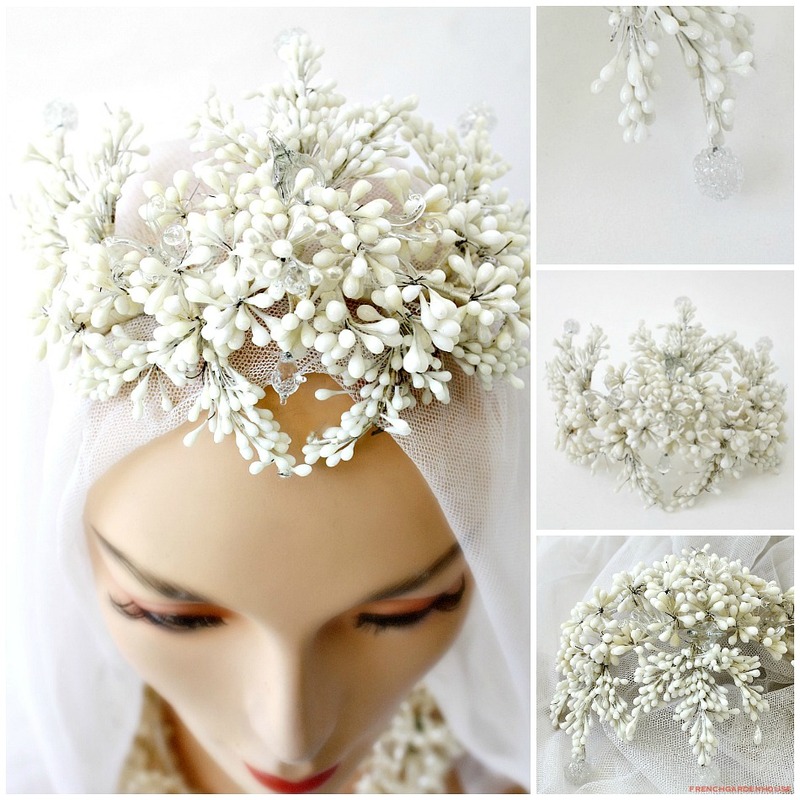 Antique French Wax Floral Wedding Crown features wax flowers, some are pearlized, and blown Glass decorations. 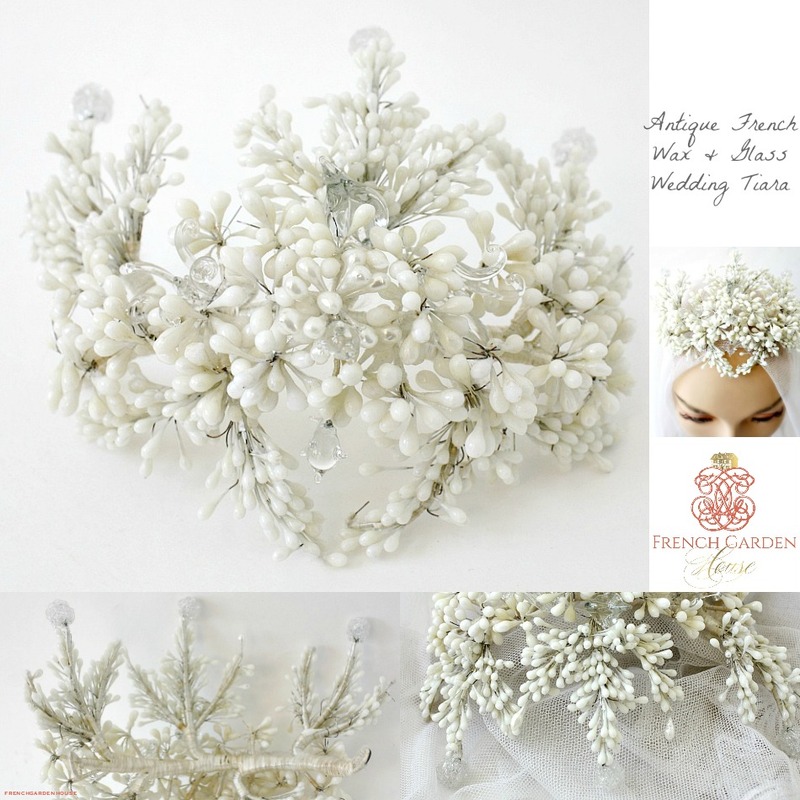 Three blown glass orbs cap off the three high points, two larger Glass flowers, one on each side, make this especially wonderful. 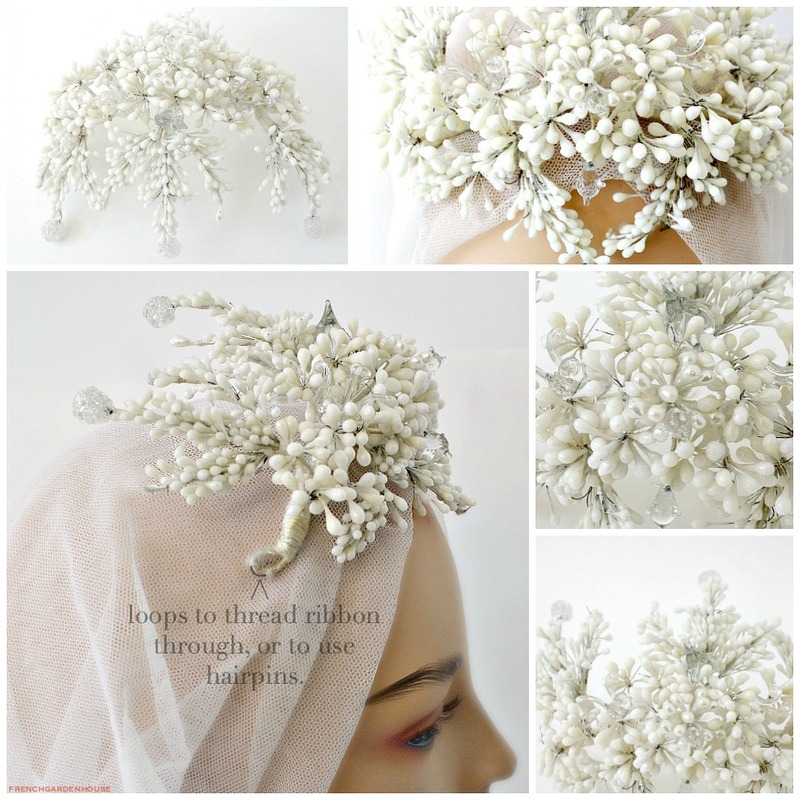 A one of a kind luxury find, the tiara is wire wrapped with silk floss, a loop on each end allows for a ribbon to be added, or to attach hairpins. 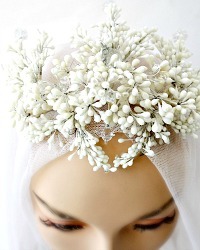 Beautiful to wear for your wedding, or display with your collection of antique wedding dresses and wax tiaras, to display on your antique mannequin or santos, or to present as a gift to a special bride. Measures 8" x 6" x 3~3/4" high.